Today, there is a lot of talk about heat pumps and people have the idea that a heat pump can only be used in a well-insulated new build home, but is this really true? In this article, we look at this subject in more detail and we focus especially on the financial side of the matter. Renewable energy is necessarily, thatt is what just about everyone agrees, but to really to make a difference there also must be a financial benefit from it. Most people will have to choose between a natural gas boiler and a heat pump. A condensing boiler burnes natural gas and takes heat from it. For each unit of natural gas there is about 1 unit heat generated and natural gas costs about 0.07 pounds per kwh. With a heat pump this calculation is a bit more complex. A heat pump works on electricity (similar to a refrigerator, but instead of cold there is heat radiated) and electricity costs about 0.21 pounds per kwh. A heat pump will extract energy from the environment and this could be the outdoor air, the soil or the groundwater, …. Based on what type of external energy is used for the heat pump, a COP is determined. 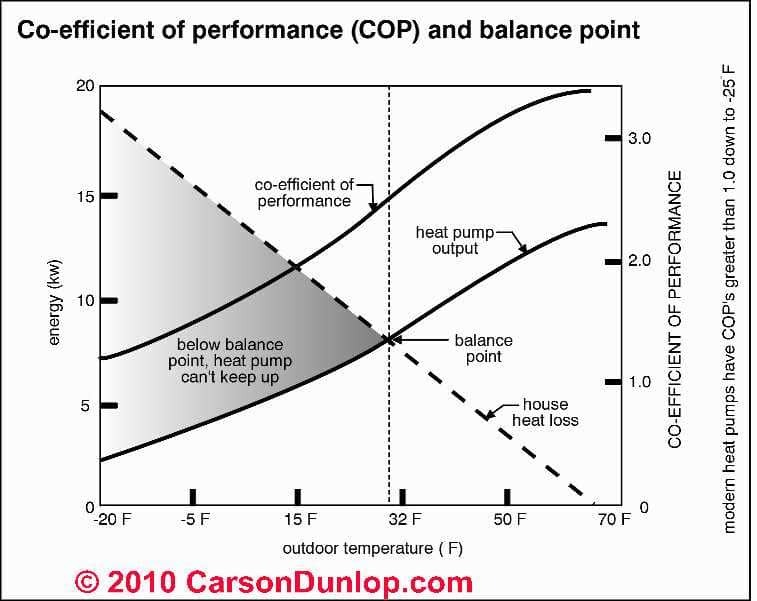 The COP is depending on the heat pump itself and to be able to know the real efficiency of the heating system one must calculate something wha is called the SEF (seasonal efficiency factor). The SEF is an extension of the COP and in the SEF, also the efficiency of the delivery system (underfloor heating or radiators) will be calculated. In the example above we assume an SPF of 3 and this means that for every unit of electricity that is used, 3 units of heat is generated. We see immediately that this operation hass an efficiency of a zero as the electricity consumed is 3 times more expensive than natural gas. Once the SPF is greater than 3, it starts to have an advantage compared to the condensing natural gas boiler. These days in order to comply with the mandatory share of renewable energy, a heat pump must have a minimum SPF of 4 and for air source heat pumps, for example, this is petty hard to achieve. Heat pumps that get their energy from the ground will easily come to a SPF of above 4 and most will achieve the SPF = 5. According to current standards, new build homes must be very well insulated and airtight. Even with the larger houses one will spend not much more than 1000 pounds a year on heating with a condensing natural gas boiler. If you choose a heat pump, you can bring this down to about 550 pounds. A condensing natural gas boiler costs about 6500 pounds, for an air heat pump one must pay approximately 13000 pounds and for a ground source heat pumps Scotland the price goes up to about 19000 pounds. If this difference, 12500 pounds must be offset by the savings in expenditure on bills (this can some more/less depending on the type of heat pump) you need a pay back time of around 20 years, which of course is far too high. The exact prices may differ, but the principle is simple: heat pumps are still quite expensive compared to gas boilers and without good isolation of homes, there is little to gain in the heating costs. So are re heat pumps than a bad idea then? No not at all, but one has to match the right technology with the right project. In new homes with very low energy costs, the investment in a heat pump will financially be difficult. This extra money in these projects one can better be invested in things that one can more easily customise later, such as triple glazing, better air tightness, etc. In projects whith higher energy costs and in case of renovations and older buildings where the boiler needs to be replaced anyway, heat pumps, especially in combination with underfloor heating are the ideal choice. The problem outlined above is to a large extent determined by the high price of electricity and as it stands in Scottland for the years to come, this will be anything but low. 67% of energy produced in Scotland is from renewable sources like wind, water and solar, but how greatt thatt is, itt doesn’t bring the costs down. The story above is of course totally different if one can produce the electricity them self. Imagine the the following situation: a well-insulated and airtight House which needs almost no power to be warmed up. On the roof of the House, photovoltaic panels are placed and in the basement a battery. During the day, the residents work, the sun shines and the battery is charged. If the residents come home one uses a simple air source heat pump to power the underfloor heating system that heatts up tthe house warm the house. by doing this we consume approximately 60% of the energy stored in the battery and as the house well insulated and airtight it will also be heatted quickly. The other 40% can be used it to cook, watch tv, etc. If more is needded you can pull it from the grid and the grid is therefore more a backup system rather than the main energy source. The big reason why this is not yet possible is the battery. Batteries are still too expensive and too poor in quality for this application. Batteries are therefore seen as the holy grail of the renewable energy issue. If we succeed in producing batteries on a large scale in an inexpensive and sustainable way, we will be a lot further. A lot of research is being done on this, but for the moment it will be a long wait for a good solution.